JGB Hoses - Hoses by Application - Extensive line of Industrial, Hydraulic and Specialty hose - JGB Enterprises, Inc.
JGB Enterprises has an Extensive line of Industrial, Hydraulic and Specialty hoses. JGB's Industrial hose line consists of Vacuum, Water, Garden, Chemical, Hot Tar & Asphalt, Air and Multi-purpose hoses. 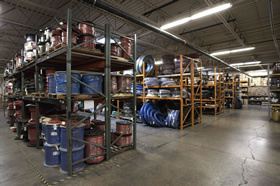 JGB has a wide variety of specialty application hoses. JGB specializes is FDA approved Sanitary hoses that can be used for any food and beverage application. JGB supplies sanitary hoses to many local and national Dairies, Wineries and Breweries. 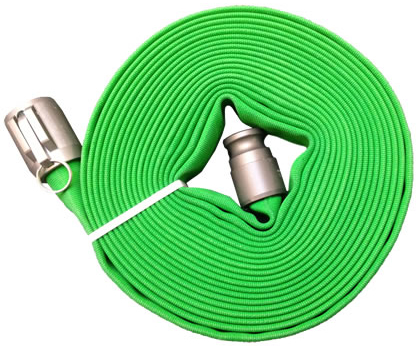 JGB presents "The Perfect Garden Hose", the revolutionary new "unkinkable" commercial grade hose that is made of a unique three-layer design woven fiber core for strength. This hose has been tested to last many times longer than anything currently on the market. Easy to handle, it is perfect not only for the garden, but also for industrial wash down and construction sites. JGB offers the JGB Private Branded fracing hose, a rugged and flexible hose designed to convey crude oil and oil slurry mixtures for Frac tank connections. Aircraft Refueling Hose for fueling and defueling commercial and private aircraft. It handles jet fuel and the higher aromatic aviation gasolines. Its high working pressure permits use in fuel cart hydrant service. JGB offers Fire Engine Booster Hose and Booster Hose Kits for use in high-pressure fire engine booster service or other heavy-duty industrial and municipal operations. JGB Enterprises is known for delivering high quality, reliable products for virtually every application, and there is no exception for waterblast hose, for use as an alternative to Sand Blasting, Shot Blasting or other methods of cleaning or removing old materials. 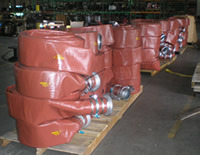 JGB Enterprises Inc. is a leader in the manufacturing of custom frac hose assemblies. We have the largest oilfield hose inventory, so we can provide you with same day solutions in an effort to prevent any unnecessary downtime. For the processing of foods that require an approved sanitary hose, call JGB. We have a complete line of delivery systems for every application. JGB's private-branded Avalanche 2000 snow making hose sheds some light on just how a snow making hose should be produced. 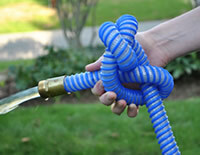 The hose is tough and ready for action, but it is very light in weight. The Avalanche 2000 has a smooth inner lining which provides the user with maximum flow with minimum friction loss. JGB Enterprises is a manufacturer of flexible metal hose assemblies. We provide a full range of metal hose fabrication services, including low pressure, medium, and high pressure assemblies.